How to convert image to text file online. There are a lot of images written with text but we can not use them as text file. A lot of software and online sites provide to convert the images to txt and .doc file. 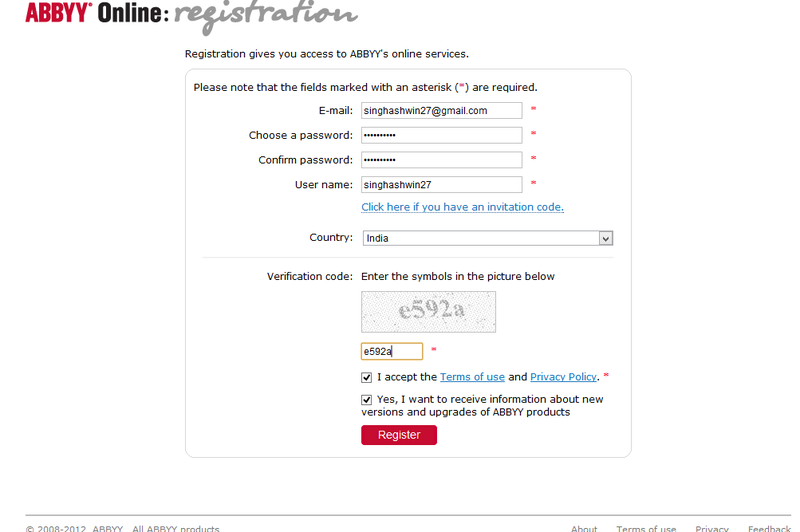 I like a site to convert the images to txt and .doc file named ABBYY FineReader Online. 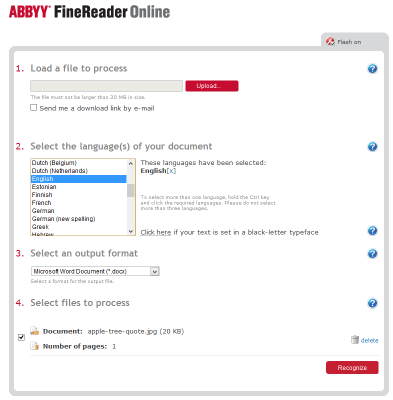 ABBYY FineReader Online is web based OCR service that can instantly convert pdf and image files easily into office file formats. 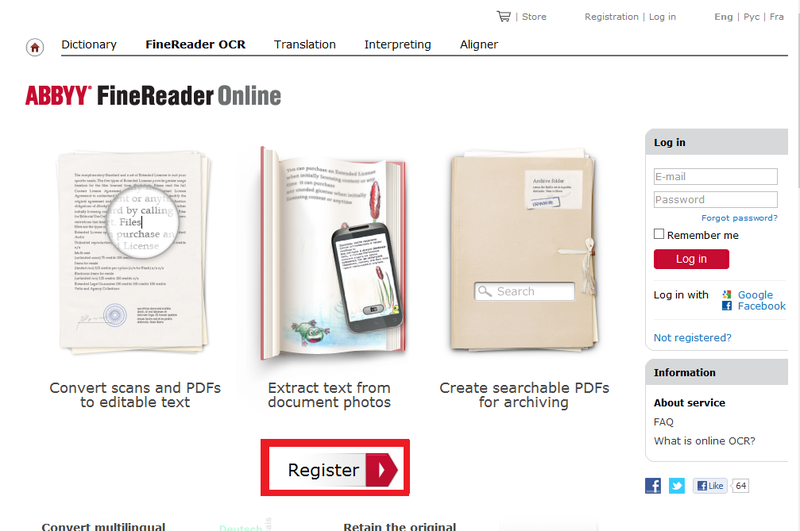 Go to finereader.abbyyonline.com/en/Account/Welcome and click on register button. Fill up your details and register. After confirming E-Mail you can convert files.Just upload your pick.Select the language(s) of your document and the last select your output file format.Click on recognize button. Click on your file and it will start downloading your file. Click on process another file for another file. Does your document contain text in more than one language? Choose up to 3 recognition languages for the document image you are planning to convert (English, French and German, for example). Convert your multipage document to editable text while precisely retaining its table of contents, footnotes, page numbers and other structure elements. Choose from a variety of image input formats inсluding image PDFs, TIFF, JPEG, DjVu and others. A comprehensive range of available output formats allows you to convert your documents to Word (DOC/DOCX), Excel® (XLS/XLSX), searchable PDF, RTF, and newly-added ODT formats. Benefit from superior character and format recognition accuracy including retention of paragraphs, bullet points, tables, and much more. Create searchable archives of historic documents with FineReader Online understanding Fraktur fonts. 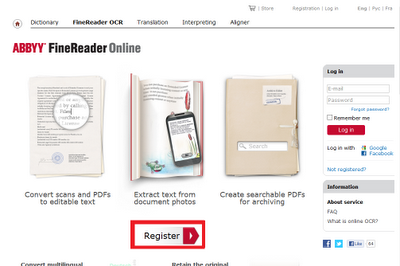 FineReader Online delivers optimized recognition technologies allows you to accurately process historic documents printed in old fonts. 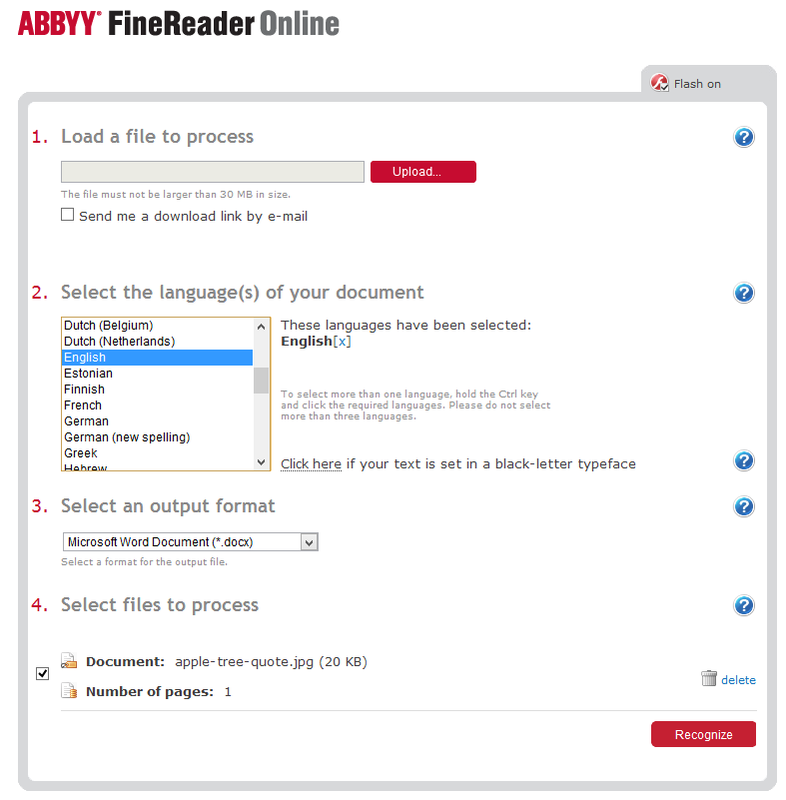 ABBYY FineReader Online OCR is available for all operating systems – all you need is an internet connection. Send converted files directly to your online document repository for easy managing and sharing them with friends and colleagues.